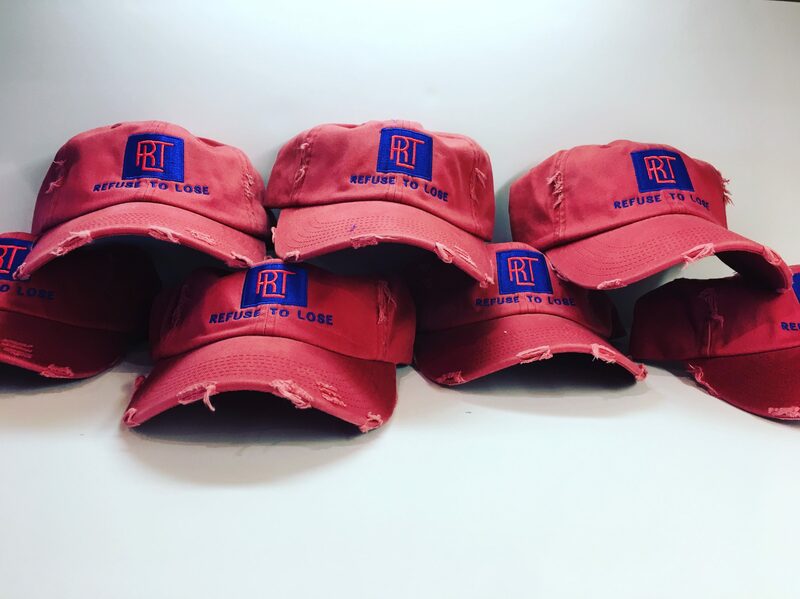 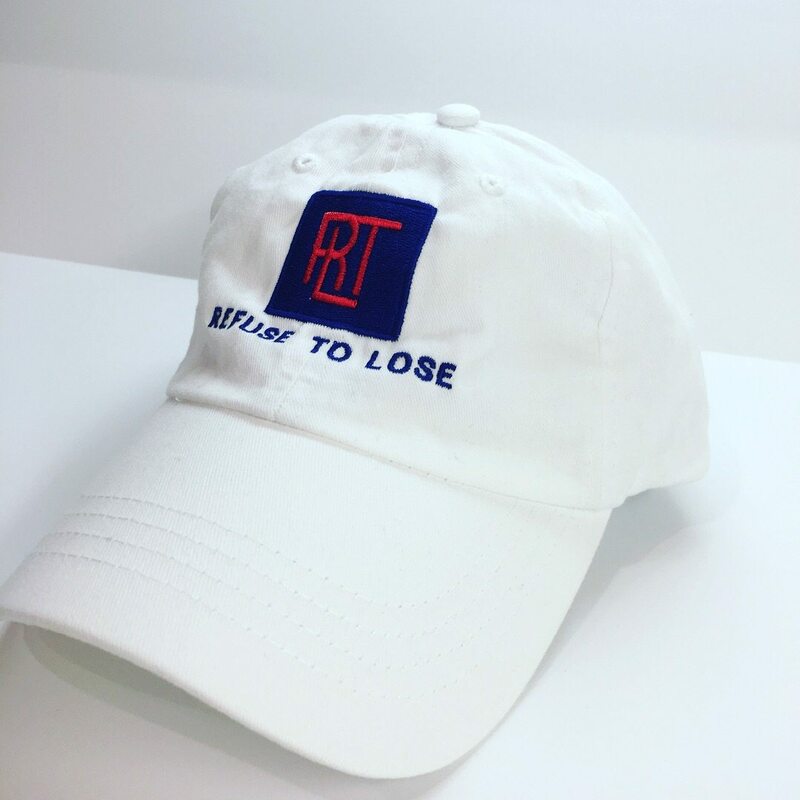 100% cotton, 6 panel distressed with strapback and signature RTL logo. 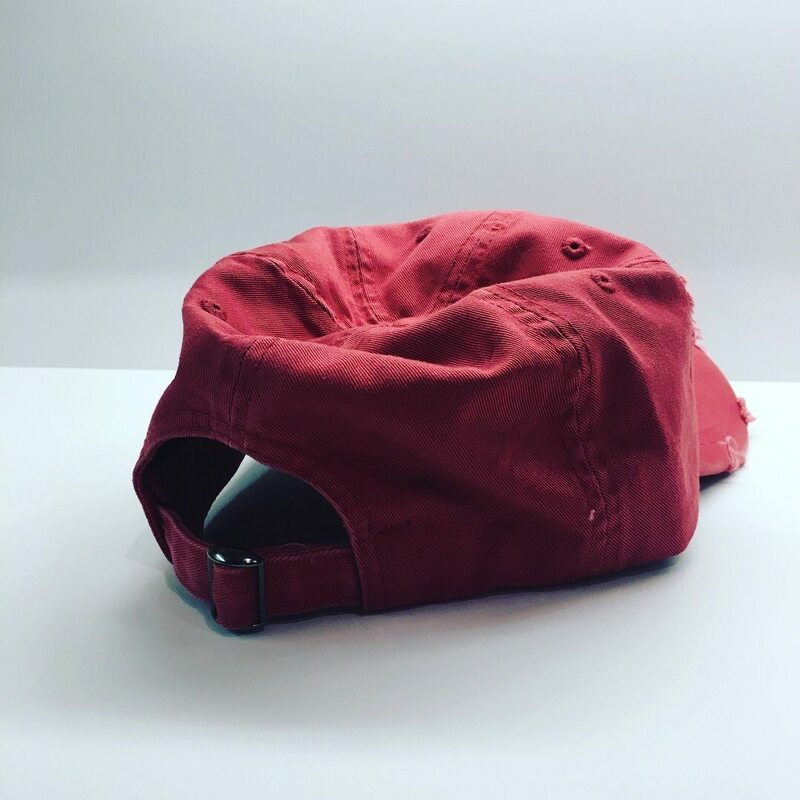 Crimson-Red Distressed Dad Hat. 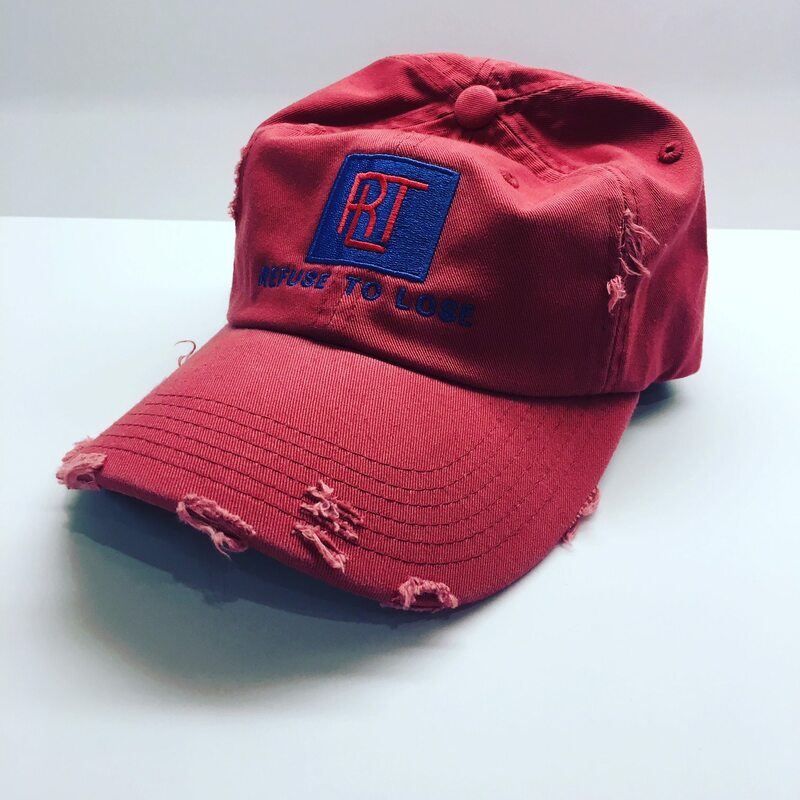 100% cotton, 6 panel distressed with strapback and signature RTL logo.